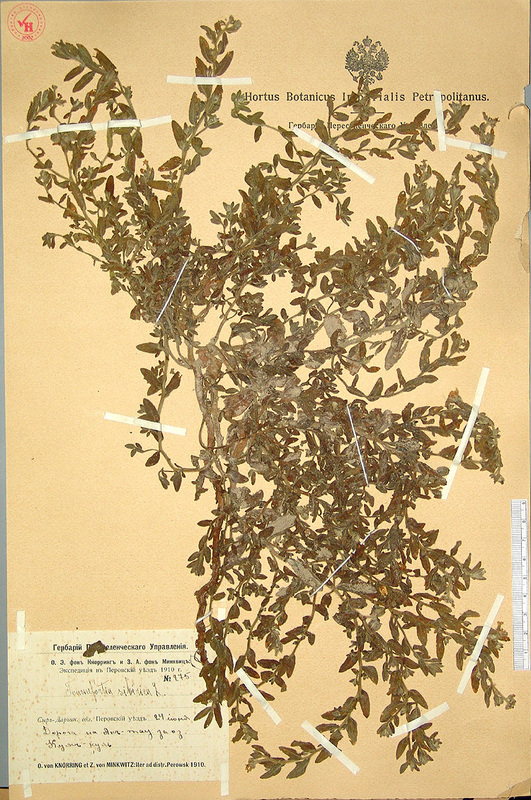 Herbarium of the State Migration Department, O.E. fon Knorring and Z.A. fon Minkwitz: expedition to Perovskii District, year 1910, Syr-Darinskaya Province, Perovskii District, road to Ak-tau over Kum-kul Lake, 24.VI.1910, coll. Minkwitz Z.A., N 275.